One of the first Dragon Ball games I ever purchased as a kid was a little card game for the Gameboy Color known as Dragon Ball Z Legendary Super Warriors. Despite never beating it as a child because I could never get past Cell, I remained fascinated by the idea of more Dragon Ball video games that focused on incorporating card game elements into their gameplay. With that being said, it’s no surprise that I have been patiently waiting for nearly nine years for the Japanese arcade card game, Dragon Ball Heroes, to finally make its way to the west. 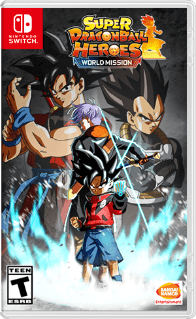 Available now on the Nintendo Switch and PC, Super Dragon Ball Heroes: World Mission is a fighting/card game hybrid that I believe every Dragon Ball fan should check out when they get the chance. 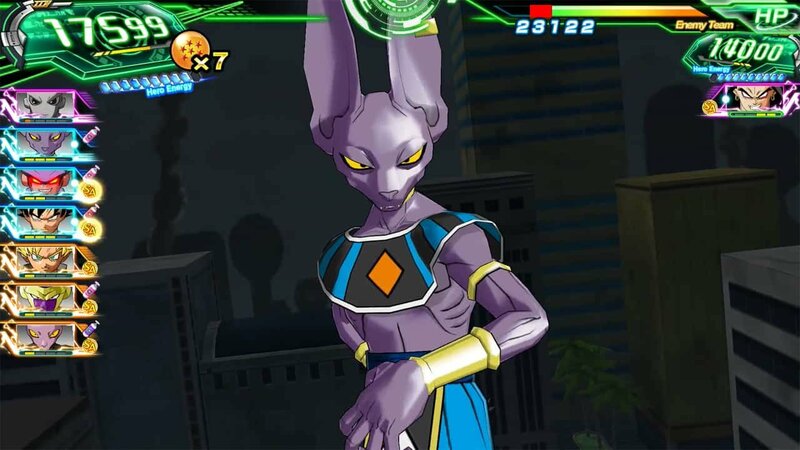 Super Dragon Ball Heroes: World Mission put players in the role of a talented newcomer to the Dragon Ball Heroes card game. While this character is canonically known as Beat, players are free to name their in-game avatar whatever they want, along with choosing from 9 available races for their character to be, including either Saiyan, Namekian, Kai, or even an Android. Once the tutorial is finished the real meat of the plot promptly begins where Dragon Ball villains are breaking out of the game and have begun wreaking terror in the real world. It’s up to you to assemble a force of heroes and defeat the unknown threat that is behind the breakout of these growing anomalies. As stories in video games go, Super Dragon Ball Heroes: World Mission is a straight forward quest without a lot of memorable impact. Despite the overall tale suffering from a lack of depth, I still found myself enjoying moments of the campaign due to how the game has remixed the Dragon Ball timeline with tons of fan service and what-if scenarios. 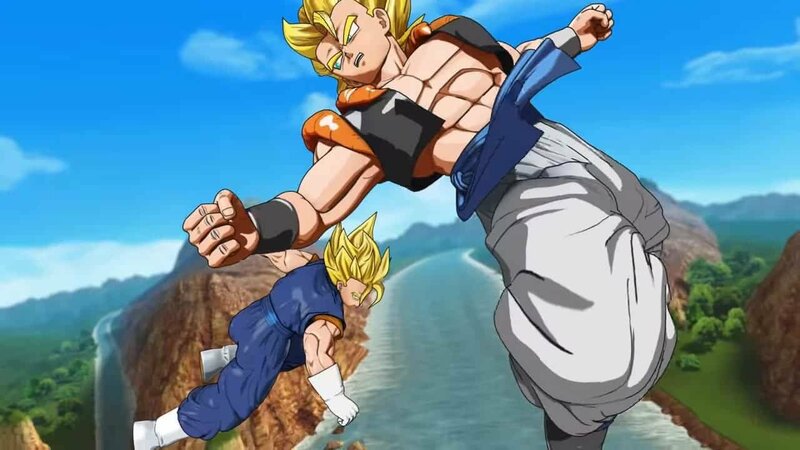 Unlike Dragon Ball Xenoverse, Heroes doesn’t care about keeping the history intact and freely messes around with events in the series in cool ways, such as allowing Vegeta to go Super Saiyan 3 in the Saiyan saga instead of becoming a great ape. Even the Xenoverse timeline is explored more with the inclusion of new characters and unique transformations that we haven’t seen previously in that series of games. These moments are what makes going through the campaign worthwhile for most, but I wish that the cast of new characters we grow to assemble actually had at least some degree of depth and personality to them on their own to make the journey that much more special. Once they join the party they are sadly only used to force players into playing around with their premade theme decks midway through chapters and to gain level up rewards. While the campaign felt rather flat to me, the card game action continues into a whole other suite of playable modes that I found much more enjoyable, including arcade mode, online PVP, tournaments, and even custom made missions made by other players that continue to increase the amount of content the game has available. At its core, Super Dragon Ball Heroes: World Mission is a nearly perfect replication of the same arcade game in Japan. The only major difference is that players won’t be playing with physical cards in the arcade, but instead using digital ones that they pull from random at gacha shops using the tickets they gain from completing missions in-game. With over 1000 cards to obtain across 10 sets and a large catalogue of promos, nearly every character across the franchise is represented here for players to collect and build unique decks with. However, I can’t help but be selfish and hope that the older Heroes sets and new Universe Mission ones will be added in the near future to make the total number of cards available easily over 4000. Even if those sets don’t manage to make it over though, players still have the ability to design their own cards that they can use in campaign, as well as custom missions, to fill in the gap. 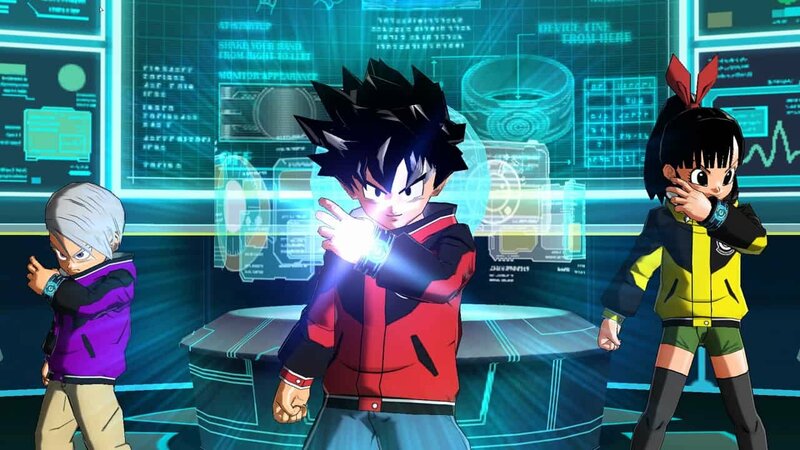 A standard game of Dragon Ball Heroes starts with players building their deck of seven cards. Once a round begins both players move their cards around the field at the same time, consuming their cards’ stamina to build up their power level and hero energy gauges, which fuels their team’s super attacks. The player with the biggest power level attacks first and both players begin a series of charge impact battles. This a simple mini-game where both players have a gauge that fills up and down, similar to the power bar in Hot Shots Golf, and the objective is to stop the gauge at the highest point possible. Whoever comes out on top wins the round and either gets to attack with the full force of their cards or block the oncoming attack for less damage. A winner is declared when a player either depletes their opponent’s life gauge to zero or if they are the player with the highest life total after five rounds. What I’m not describing, however, is that the real depth of the game’s strategy starts to appear in between the rounds when cards start to utilize their unique abilities to manipulate the outcome of the match. These strategies can involve maxing out hero energy as early as turn one for potential round one knockouts, launching team attacks during round two to build up stacks of free damage, manipulating the timing of the charge impact gauge so it’s either impossibly fast or nice and slow, or even outright countering attacks so that your opponent can’t use their biggest threats. This is just scratching the surface of how players can build their decks in Super Dragon Ball Heroes: World Mission and every opponent I’ve faced thus far online has come out with a different team of characters that showcases a different set of abilities I haven’t had the chance to learn about yet. Winning the game is not simply throwing a team of the rarest cards you have available, players need to develop synergy and a game plan that they plan to execute each round with their deck in order to win consistently. 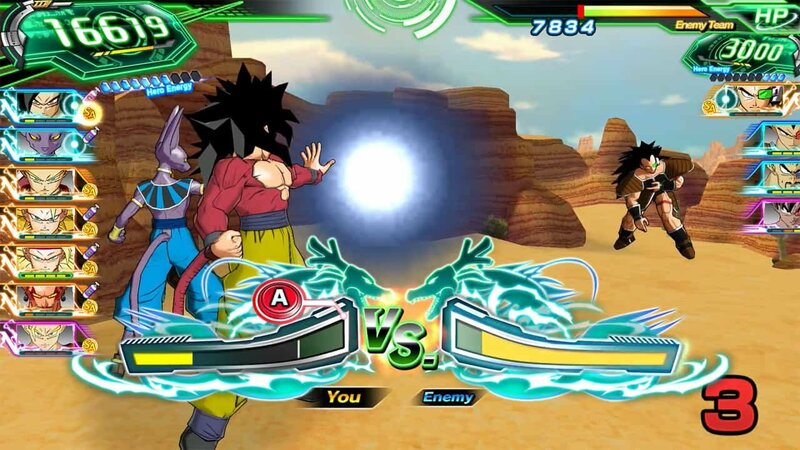 Super Dragon Ball Heroes: World Mission has all the strategy and complexity of a TCG beautifully mixed with the blood pumping tension of a fun multiplayer arcade game. It’s understandable that some fans will be deeply upset that the game doesn’t possess an English dub, or that the game’s graphics aren’t nearly as visually impressive as the latest Dragon Ball titles, but these negatives don’t impact me nearly as much as they will others. While I found the campaign to be rather lacklustre, the remaining suite of playable modes, the unique gameplay, and the addictive card collecting are at the heart of why I enjoy Super Dragon Ball Heroes: World Mission, and why I’ll continue to come back for more as long as Bandai Namco continues to support the game.